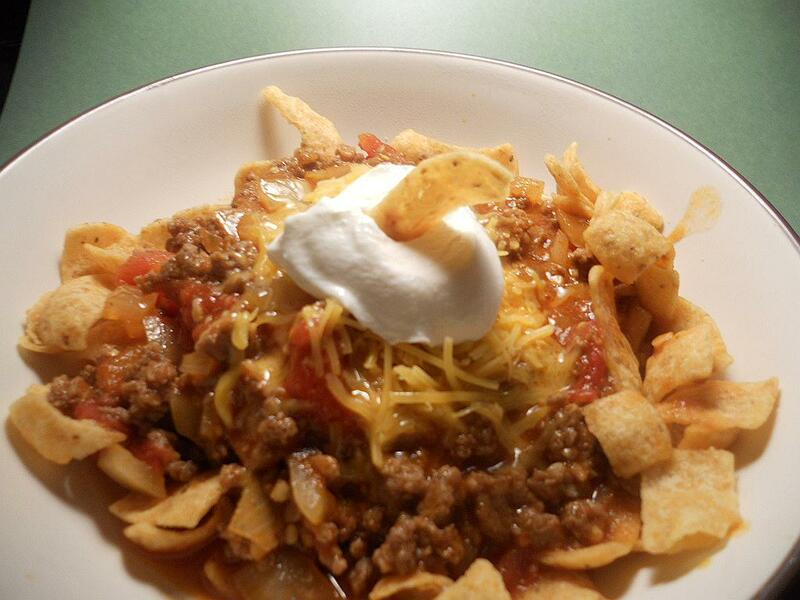 Slow Cooker Frito Pie is a comfort food for me! Love the flavor, and the chips and cheese just make this recipe! Brown ground turkey or beef in a skillet, approximately 5-7 minutes. Drain ground meat, and add garlic. Continue to cook for 1-2 minutes. 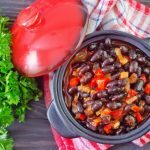 Transfer browned ground meat to a 5 – 6 quart slow cooker with tomato sauce, Rotel, salt, oregano, cumin, chili powder, Tabasco, and beans. Stir to make sure it is combined. Cover. Cook on Low for 6-8 hours or High for 3-4 hours. Combine corn meal with water, and then add to the chili. Stir to mix in corn meal and crock for an additional 20 to 30 minutes. Serve with Frito chips and a dollop of sour cream, topped with cheese!